Gun violence is a public health danger. We need to do something about it. However, all the pundits are barking up the wrong tree. In the debate on gun control laws and regulations broiling since the tragic and horrific murders in Newtown, Connecticut, one very important point gets ignored in the major media: the biggest, most dangerous, and deadliest perpetrator of gun violence in the world is the U.S. government. 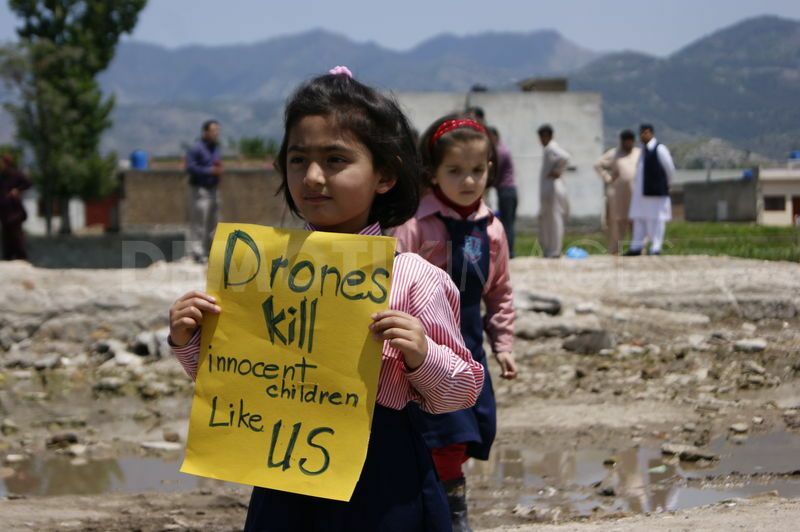 According to the Bureau of Investigative Journalism, U.S. drones have murdered 176 children in Pakistan alone. That’s more than 9 times the number of children murdered in Newtown. 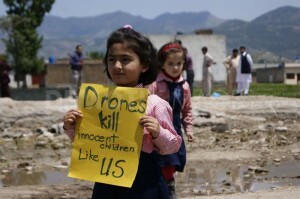 (Upwards of 1,005 civilians in Pakistan, Yemen, and Somalia have been brutally cut down by U.S. drone strikes.) Why hasn’t there been a public outcry over these killings? The New York Times reported recently that President Obama personally orders these drone strikes. While Adam Lanza, the shooter in the Newtown murders, was clearly a sociopath, Barack Obama is portrayed as a completely sane, thoughtful – excuse me, brilliant – leader “defending U.S. interests.” Heck, the man even got the Nobel Peace Prize! The U.S. government murders children and other civilians every day. I’m outraged by these killings, and you should be outraged, too. The lives of U.S. children are no more precious than those of Pakistani, Afghani, Yemeni, and Somalian youth. U.S. culture is a culture of violence. If the man personally responsible for ordering attacks that killed hundreds of children gets the Nobel Peace Prize, should we be surprised that others find it reasonable to attempt to do the same? This culture of violence condones unspeakable crimes against humanity as the unfortunate consequences – “collateral damage” – of the just pursuit of “U.S. interests.” The U.S. government has a long, bloody history in which millions of civilians, including children, have been murdered – from the carpet-bombing of Germany, to the dropping of atomic bombs on Hiroshima and Nagasaki, to wars in Korea, Vietnam, Iraq, and Afghanistan. The U.S. government metes out violence inside this country, as well. Let’s start with the genocide of the Native American population. U.S. troops have been used to crush workers’ strikes and put down uprisings in African-American communities. Local police forces are known for their deadly brutality, especially toward African-American and Latino communities. The most important and effective gun control we could enact would be to disarm the U.S. government. Now, that would be a major advance for global public health. It would save millions of lives!